Last month, I asked some people in the SG community for some gardening tips that I could share with you. Winter brings cold and flu season, so the early days of fall are an ideal time to plant seeds that will serve you in the winter months. 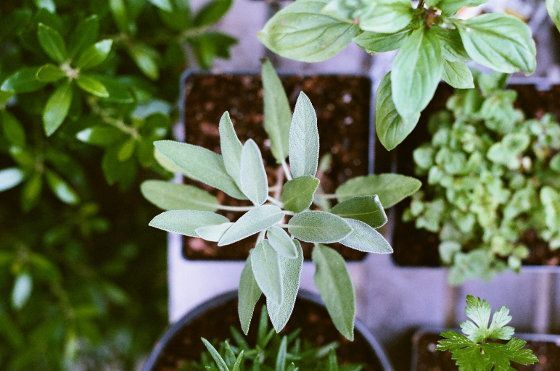 And don’t worry, if the cold weather is already upon you, you can easily grow these herbs under a grow light on your kitchen counter. Sage is great for drying up excess mucus. Use it to make a tea and your runny nose will dry up almost immediately. Parsley is a rich source of vitamins and minerals that will boost your immune system. Basil tea will open up the lungs and nasal passages and reduce your fever. Mint is easy to grow and acts as an excellent diaphoretic, helping you sweat out the toxins that are making you sick. If leaving your garden a little messy (ie. natural) right now doesn’t bother you, then great! Your fine feathered friends will thank you later in the season when there isn’t much for them to eat. Don’t prune back your dead or dying veggie and flower stalks just yet. 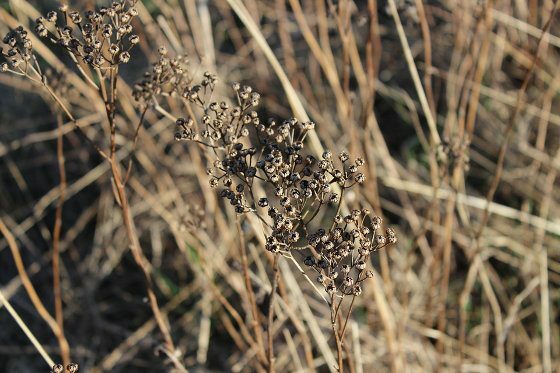 The dried seed heads will provide much needed protein for your birds during the winter. There are also lots of butterflies that lay their eggs in your garden as well and you don’t want to cut down too much of their winter sleeping quarters. Don’t rake up too many of your leaves..unless of course they are smothering your lawn…lots of beneficial creatures take cover under them and of course birds will scratch through the leaves to find food there as well. Of course, you can use them for winter mulch too! If you do some clean up and have room for a brush pile, by all means make one. It’s late September and the leaves on the trees are turning golden and falling to the ground. What will you do with all the leaves that fall into your yard? Well, there’s no need to undertake the thankless task of raking, bagging, and hauling them away. They would likely end up in landfills. Consider instead that these leaves offer a free bounty of organic matter that could be put to excellent use in your garden. Leaf Mulch. Shredded leaves are considered one of the best mulches in organic gardening. Adding a layer of shredded leaves over the soil will help smother weeds, conserve soil moisture, and build soil fertility. Mulched leaves also provide habitats and nutrients for beneficial soil organisms which in turn decompose the leaves into nutrients that will feed next year’s crop. Leaf Compost. Leaves make the perfect brown (carbon) element that can be mixed with green (nitrogen-rich) material such a kitchen waste in your compost pile throughout the winter. Compost not only increases organic matter content, it also provides nutrients to the soil and increases the number and diversity of beneficial organisms. Leaf Mold. Leaves raked into a pile will decompose over time into a rich humus that can be incorporated into garden beds to improve soil structure and water retention. 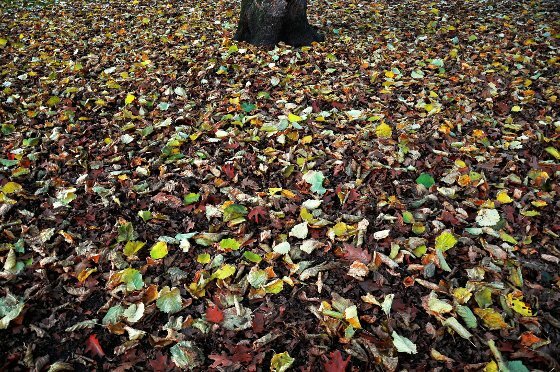 Leaf mold also makes a great mulch and provides nutrients for beneficial soil organisms. One of the great principles of health is that a creature needs to rest in order to thrive. What is true of a person or an animal is also true of garden soil. It is easy to see soil as nothing more than dirt instead of the complex organism that it is. It is filled with worms and bugs as well as single-celled and multicelled creatures feeding off the larger ones. Healthy soil also has an abundance of minerals that all the creatures and plants use to live. However, if one never lets that soil rest and rejuvenate it will eventually wear out. Like humans, soil needs to rest from time to time. Before the rise of commercial fertilizers, farmers understood this principle by periodically allowing sections of their land to go fallow. Today’s gardener can do the same by allowing a certain number of their raised beds or sections to have time off for production. Thus the soil will have time to rest. What I do is each fall, after the growing season, two to three of my raised beds are covered with a healthy amount of compost and then sown with a ground cover such as hairy vetch. That cover is allowed to grow over the winter and spring months. 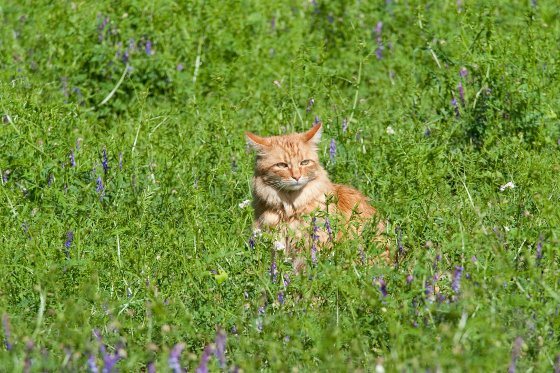 During that time period the hairy vetch is adding more nitrogen to the soil and the organisms are feeding upon the compost. The soil and its organisms are being feed and not being taken from. In the summer I till under the hairy vetch adding more thatch to the soil and cover the bed with a mulch. This adds still more food for the soil and its organisms. By the time for the next fall growing season these beds are ready to be used again. They have had time to rest and they have been thoroughly feed. They are filled with worms, bugs, organisms, and minerals. My plants now have more that they need to grow, thrive, and produce. This was very informative and extremely helpful! Smiling Gardener is My favorite source for uncomplicated information that is easy to apply.